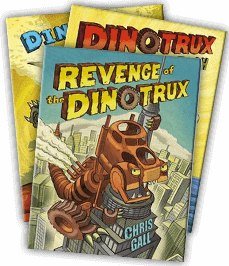 THE DINOTRUX ARE BACK… AND LOOKING FOR A SNACK! 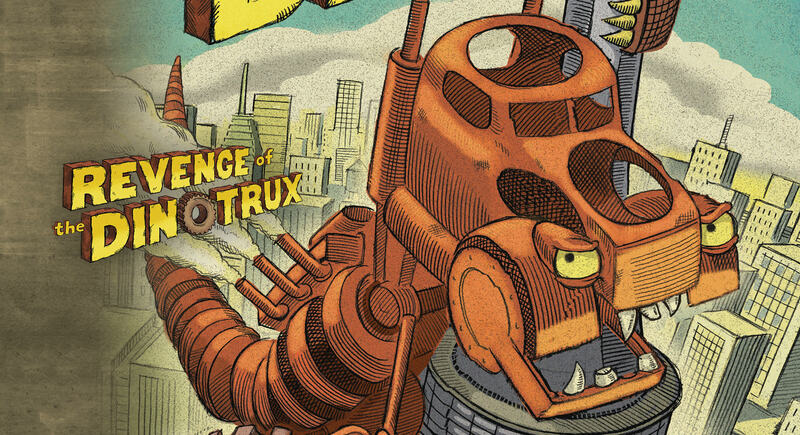 Millions of years ago, DINOTRUX ruled the earth. But in the present day, people rule them! Their rusty fossils have spent decades stuck in a drafty museum surrounded by screaming kids, and now they’re ready to break out and let off some really old steam. Garbageadon eats cars, Craneosaurus peeks in windows, and Tyrannosaurus Trux climbs a skyscraper… Who will win the mighty standoff between man and prehistoric beast?